By Gail Carriger, published by Atom. Goodreads Synopsis: First, she has no soul. Second, she’s a spinster whose father is both Italian and dead. Third, she was rudely attacked by a vampire, breaking all standards of social etiquette. My Review: I’ve heard so much about this book, so I had a little squealy fangirly moment when I found it in a charity store while I was shopping ;D It was one of the main books that made me decide to do a steampunk read-a-thon. I started it yesterday and, like a lot of the steampunk books I’ve read so far, it had me completely absorbed into the story! The world, was just… ‘awesome,’ seems to sum it up the best, to me. 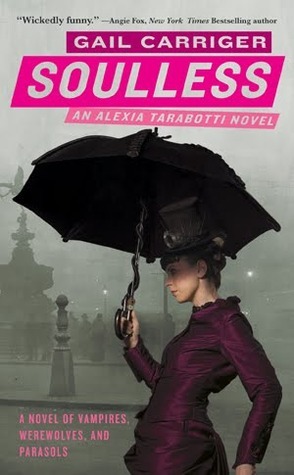 It’s the same world (but different location-ish) to Gail Carriger’s new YA Etiquette and Espionage series: Meaning the Victorian society, with a twist. Vampires and Werewolves are accepted in society. Airships roam the skies. A brilliant steampunk vision! Gail’s writing is amazing. It brings the story and the setting to life really vividly. I could imagine everything so well! Gail is really talented at weaving humor into a pretty grim plot, too. She’s conveyed some hilarious witty dialogue into what is actually, come to think of it, a pretty terrifying plot. I have no idea how it was possible, but Carriger has blended a grim, creepy plot about evil-seeming scientific schemes, a romance story, and loads of scenes that will make you laugh out loud, into one book. Genius writing, from a genius author! I loved Alexia. In Victorian times, from what I’ve learned and what I’ve read, girls never got to do anything, and everything was sexist and Alexia is just the opposite of every Victorian female stereotype. It’s hard not to fall in love with her. 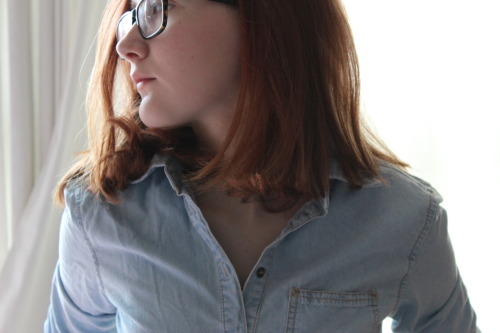 Inside, she’s conflicted with her Italian background and her Soullessness. And secretly, she has a tendency to be pretty violent, as revealed in the first chapter, where she used her parasol to fight off a vampire. She’s such a powerful-and witty- heroine! The love interest… I have very mixed feelings about. He has a really well developed personality and background, as a Werewolf… but I couldn’t like him as much as I wanted to. Of course, he was an awesome love interest- especially in a particular action-packed scene near the end of the book- but I don’t know why I couldn’t really connect with him! He seemed quite cold at points. I purchased a copy of Soulless from a second hand bookstore. This entry was posted in Uncategorized and tagged action, comedy, romance, spotlight on steampunk, steampunk, vampires, werewolves on December 11, 2013 by keithbwalters.